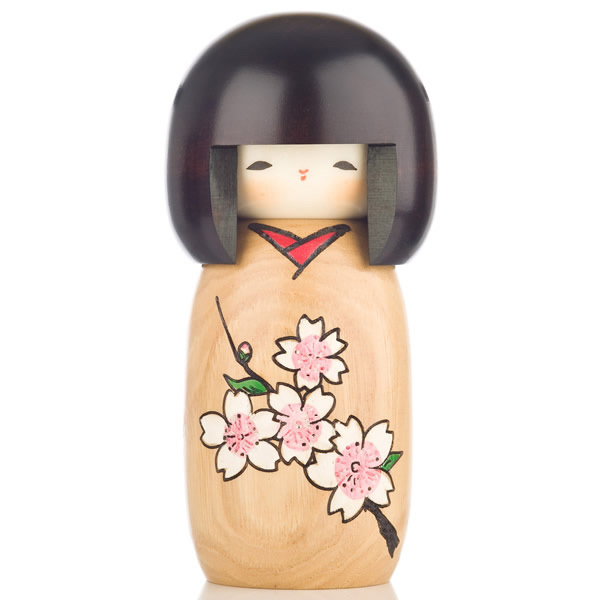 The Cherry Blossom Natural Wood Kokeshi Doll makes a lovely gift for friends, family and flower lovers. Perhaps the most iconic motif in Japanese art and literature, sakura or cherry blossom even has its own festival, hanami (literally 'flower viewing'). 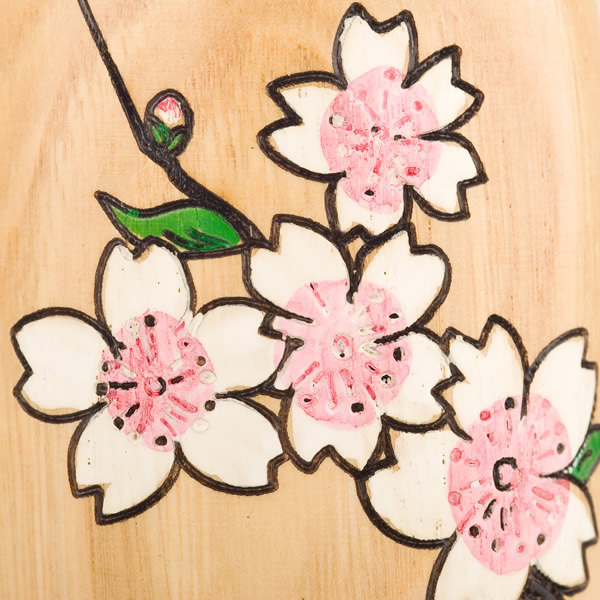 The Cherry Blossom Natural Wood Kokeshi Doll has a polished natural wood finish with the blossom painted over the top, giving an authentic look and feel. If you would like a wooden base to go with it, we recommend the medium size. 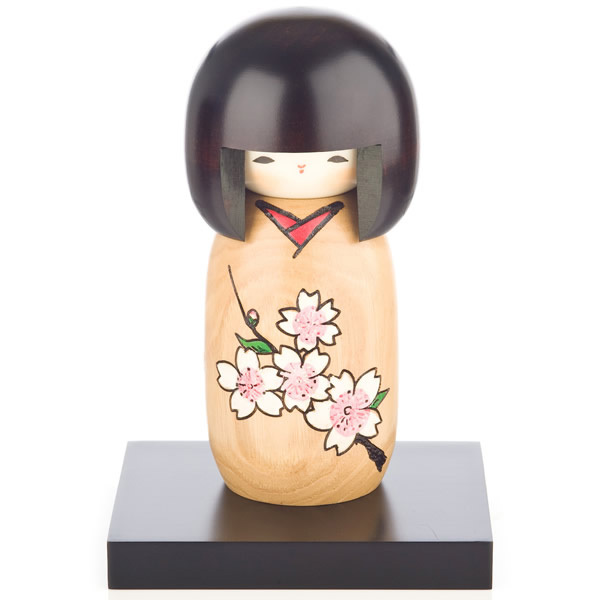 Order the Cherry Blossom Natural Wood Kokeshi Doll online, not forgetting our FREE authentic Japanese gift wrapping service, or come to our showroom for a browse. I bought my first Doll (Cherry Blossom Natural Wood Kokeshi Doll) from you Monday and I received it today !! I love her!! She is perfect and I am going to start collecting them! She is so beautiful and your service was superb! 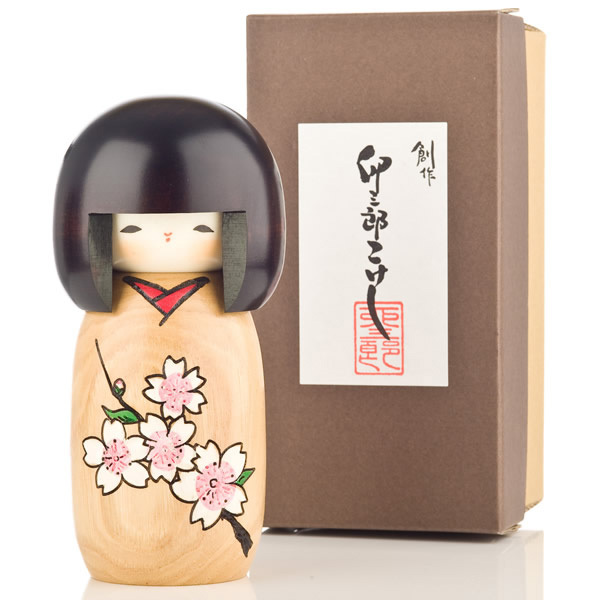 This doll is lovely, love the cherry blossom over the treated wood - very natural and authentic, and obviously well made!